Oak Beverages Wine and Spirits - Oak Beverages Inc.
We stock local and international wines & spirits including canned and keg wines. It’s Not Wine, It’s FUN Wine. Meant for FUN lovers, it has a friendly taste and is a refreshing drink. Inert, flavorless, and odorless gases preserve wines as they are pushed through kegs, preventing spoilage. Twisted Cherries is about growing up, yet staying youthful! As kids, the cherry on top of your sundae was the symbol of perfection. Inspired by the people who pour it. Their ability to light up a room with quality drinks and great times is a formula for your success. Tequila is a specific name for a distilled beverage made from the blue agave plant, primarily in the area surrounding the city of Tequila. A liqueur is an alcoholic beverage made from a distilled spirit that has been flavored with fruit, cream, herbs, and spices. The finest quality Tequilas Produced only by the traditional and time-proven manner of slowly cooking the Blue Agave in small batches. 20 liter kegs, slim profile, does not take up much space. 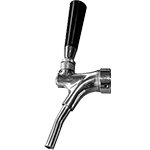 Each keg equals 26 bottles; draft wine kegs have many months of shelf life. 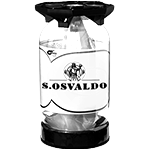 Disposable, No Keg Deposit Cost (for the San Osvaldo brand). Excellent Profit Margins; you just provide the CO2 gas tank. Varietals, Prodisio (prosecco), Pinot Grigio, Chardonnay, Merlot, Cabernet Sauvignon, and Merlot 55% | Cabernet 45% Blend. Many Options on Installation above or below counter. No Bottle Mess | No opened bottles wasted.